Where two hearts connect in celebration of love. Where two hearts connect in celebration of love. This room says “you are special”. It is spacious, beautiful and private with a luxurious silk bedspreads that is warm, cozy and luring. Relax in the comfort of your ensuite bath with its old huge cast iron sleigh tub. Then share a glass of wine or cup of coffee in the attached drawing room overlooking the beautiful outdoors and the Sawmill Lake. Upon special request we can provide champagne, flowers, music and an intimate meal by our very own chef. When you wake in the morning to the smell of James' breakfast you will have to drag yourself to the dinning room. It is to be experienced because words are not adequate. After breakfast you may want to watch a romantic movie from our selection on the large TV in your room or go out and explore the ruins of the old ghost town of Manning. Regardless of what you do, we promise that your honeymoon, anniversary or birthday will be remembered for years to come. Where two hearts connect in celebration of love. This room says “you are special”. 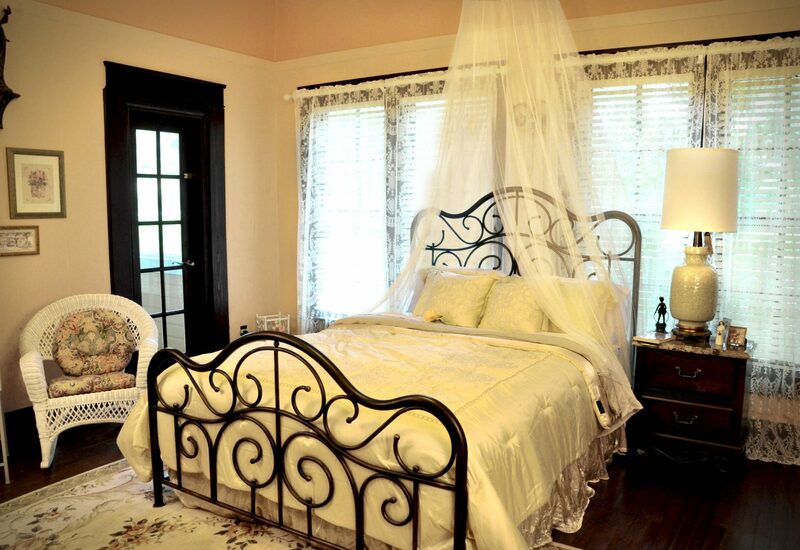 It is spacious, beautiful and private with a luxurious silk bedspreads that is warm, cozy and luring. Relax in the comfort of your ensuite bath with its old huge cast iron sleigh tub. Then share a glass of wine or cup of coffee in the attached drawing room overlooking the beautiful outdoors and the Sawmill Lake. Upon special request we can provide champagne, flowers, music and an intimate meal by our very own chef. When you wake in the morning to the smell of James’ breakfast you will have to drag yourself to the dinning room. It is to be experienced because words are not adequate. After breakfast you may want to watch a romantic movie from our selection on the large TV in your room or go out and explore the ruins of the old ghost town of Manning. Regardless of what you do, we promise that your honeymoon, anniversary or birthday will be remembered for years to come.